In 1949, Ralph Lowman of Eaton, Ohio, quit his job at Frigidaire in Dayton and started Lowman Metal Shop in his hometown. He specialized in metal roofs, gutters, duct work and furnace installation. Ralph's son-in-law, Calvin Stonecash, joined the business in 1953. They worked together in those early years establishing the business, with Ralph training Cal in the skills of the trade. Barbara Stonecash (Ralph's daughter and Calvin's wife) assisted in the business bookkeeping. 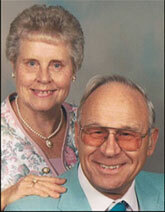 In 1965, upon Ralph's untimely death, husband-and-wife team Cal and Barb took over the management of the business. In 1987, they purchased Lowman Metal Shop from Ralph's widow and Barb's mother, Ruth Updegraff Lowman. In 1988, Kent Stonecash joined his parents in the family business. Seven years later, Cal retired and Kent was appointed Sales & Service Manager. In 1995, Barbara retired and Kent was made General Manager. Upon the death of Calvin in 1998, Kent was named President/CEO of the corporation. The Lowman Metal Shop name was updated to Lowman Heating & Air to better reflect the modern-day services offered by the business. Today's Lowman Heating & Air is the most experienced and oldest heating & air conditioning firm in the area. Lowman Heating & Air is dedicated to providing the best possible service for you and your family. You can count on us to provide you with a system and solution that fits your family's unique needs. Because we've installed thousands of systems in this area since 1949, we've earned a solid reputation for doing the job right the first time. To assure your satisfaction, we start by asking questions so we can provide exactly what you need and want. Second, we work with suppliers of top-quality home heating and cooling equipment as well as accessories designed to enhance your comfort, convenience health and well-being, including Wi-Fi and programmable thermostats, HVAC surge protectors, air purifiers and humidifiers, CO detectors and generators. Third, we train each employee to see your job through from start to finish, making sure the unit or system performs to your expectations. Finally, we provide quick, professional service to keep your systems operating at peak efficiency. It's all part of our tradition of service and assuring your complete satisfaction.